A really common motorcycle question I see all the time in online comment sections and forums is: ''would this bike be OK for a beginner''. Usually, there isn't really a straightforward answer and that's because the bike that is right for you may not be right for someone else. Simply put, a suitable beginner bike depends on the ability, confidence and discipline of the rider in question. You might think discipline is an odd choice of word here, but what I mean by that is basically how much self control you have. 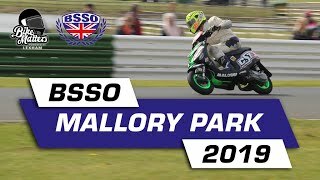 A bike will only go as fast as you tell it to, so are you someone who will take things steady and grow into a bike or are you going to thrash it and put yourself in a potentially dangerous situation? Ability plays a part here too, people learn at varying rates and some may have natural flair, whilst others develop a little more slowly. For instance, when I first began training for my own full bike licence, I started with a friend. While I needed the full course and a few additional lessons to be fully prepared for my test, he passed his after only a couple of sessions. Of course, he had ridden motocross as a kid and I guess you never forget... like riding a bike! The point is, while we were both new to riding motorcycles on the road, as 'beginners' we were hardly equal. There's nothing wrong with taking your time and picking a bike you can grow into and there has never been a better range of bikes available for that. 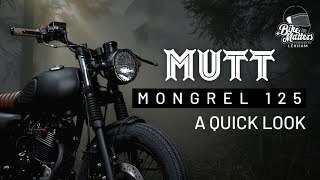 Another important thing that will help you find a great beginner bike is choosing a motorbike that fits your height and size, you need a bike that you can ride and manoeuvre comfortably and that will perform well doing the kind of riding you wish to do, be that commuting, cruising, adventuring or whatever. Finally, perhaps the ultimate decider as to which bike you go for is your budget. How much are you willing to spend on your first bike? A cheaper bike can be a good option when you're starting out, it will be cheaper to insure while you are building your no claims bonus and if you do happen to drop it, it wont be the end of the world. With all that in mind, I have put together a list of new bikes that I think would be hard to go wrong with. I've tried to cover all bases here with a variety of sizes, styles and price ranges. The best idea is to look up your local motorcycle dealers, see what's available and try them out but this list will be a good starting point to show some of what is out there. 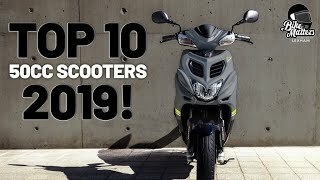 As always the list is in no particular order and all of these bikes, whilst being good beginner choices, are still very popular and fun bikes for experienced riders too - which makes them even better options as you won't grow out of them in a hurry. The Yamaha YZF-R3 is a great choice for those who want to try a sport bike but it also performs well as an all-rounder. The latest 2019 model comes with a variety of improvements over the previous iteration, taking a step closer towards being a true supersport. The suspension has been stiffened and new KYB inverted front forks have been added, which not only look the business in gold but provide a greater level of feedback in the front end - capturing that sporty feel. The R3 retains it's well balanced tubular steel frame but the ergonomics have been adjusted by slightly lowering the handlebar position and fuel tank height. This essentially allows you to get into a tighter tuck position should you desire it. One of the great things about this bike for a beginner is that it will give a good introduction to supersport riding whilst retaining a lot more comfort than you would usually get from this kind of bike. The handlebars, whilst lowered for 2019, are still higher than the average supersport and combined with a comfy leather seat, you get a bike more suitable for longer rides and commuting that puts a lot less pressure on your wrists and back. The Yamaha R3 uses a 321cc engine with 41bhp output, making it A2-compliant with easy to manage power but still enough poke that you won't be outgrowing it any time soon. It looks fantastic, comes with ABS, LED lights, a new full LCD display and with a retail price starting at £5,299 it's great value for money. This one is a brand new model for 2019 and replaces the previous Z300 model with something more fitting for the current A2 market. The Z400 features the awesome street styling of the Z family with a new parallel twin 399cc engine putting out 44.7bhp. Despite the increase in engine size, an updated steel trellis frame helps make this bike lighter than the previous Z300! The Kawasaki Z400 is designed to fit new and experienced riders alike with smooth power delivery and decent low end torque. It also boasts a slipper clutch which is a nice addition. If you are unsure of what a slipper clutch actually does - it essentially smooths out engine breaking during downshifts. During a very fast downshift or even an accidental one the slipper clutch prevents any type of rear wheel locking and allows for smooth deceleration. The Z400 has some more modern features like ABS and an LED front headlight and also a handy economical riding indicator which will tell you when your achieving optimum fuel consumption in your riding. One more feature the Z400 has that makes it great for a beginner bike is Kawasaki's ERGO-FIT system. Basically giving various points on the bike which can be adjusted or interchanged (bars, pegs, seat etc.) to fit the size of the rider for the best possible comfort. With a price tag of £4,999 it's a great budget option with a lot of bang for your buck. Another great model suitable for both new and experienced riders is Suzuki's SV650. This one comes in two different versions - the standard, modern street-styled SV650 and the retro themed SV650X. Both versions utilise the same 645cc V-Twin engine with Suzuki's Dual Spark technology providing a nice smooth power delivery that is very beginner friendly. Having said that, the 75bhp output means there will still be plenty of go in this bike to handle whatever type of riding you want to throw at it with a high fun-factor. The SV650 also features an interesting 'Low RPM Assist' function. This is another great idea for a beginner rider, it basically does what it says on the tin - smoothing out engine revs at low speeds and when launching. The end result is a bike that will stop and start easier in traffic and is far less likely to stall at low speeds. As well as being beginner friendly, the SV is also budget friendly, starting at £5,799. Suzuki have managed to achieve this by sticking to the basics - there's no rider modes or traction control or full colour TFT screens here but it does feature ABS and pre-load adjustable rear suspension. For an extra £500 you can get the SV650X version but which one you go for really comes down to your own taste and style. Personally I like the X, it was one of the bikes that caught my attention on Suzuki's stand at Motorcycle Live. The main differences are the addition of a retro front cowl, clip on bars and a tuck and roll seat. This will adjust the riding position to a more forward leaning cafe racer style. The seat now comes in a stylish brown leather with soft cushioning for extra comfort as well. This won't be everyone's cup of tea so if you would rather have a more traditional, upright street bike, stick with the standard edition. The best idea is to try them both at your local dealer and see what you think. Full Licence Required - A2 with restriction. The KTM 390 Duke hasn't had any major overhauls for 2019 but if it ain't broke, why fix it? This bike could make an appearance on any number of 'best of' lists and it definitely earns a place here among the best beginner bikes. The 390 Duke ticks nearly every box - from it's fantastic visuals based on the Super Duke R, to it's top class performance and cutting edge features. The single-cylinder 373cc engine puts out 43hp and stays inline with A2 licence requirements but the bike's light weight (just 149kg with an empty tank) and impressive torque make for a fun ride even for motorcycle veterans. This is a first bike that will last, in fact it even features a 'Supermoto' ride mode for when you're ready to up the performance a bit. Dual circuit BOSCH ABS comes as standard as well as cutting edge features like a slipper clutch and ride-by-wire throttle. There's a multicolour TFT display with phone connectivity, high quality Brembo brakes, adjustable rear suspension and upside-down front forks. Despite cutting edge performance and tech the KTM 390 Duke starts from £4,699 making it one of the best value for money machines on the list. The CBR500R has been updated for 2019 with a striking new look and some premium components, making it another great beginner motorbike. The CBR500R was always a decent little bike but in a stacked A2 market it seemed a bit lacking to me, both in it's styling and performance but that has all been remedied with this new version. I got a good look at it back at Motorcycle Live and perhaps the biggest compliment I can give to it's new look is that while set up next to the mighty Fireblade, it actually held it's own in the visual department. This is an A2 machine that looks like a superbike. Alongside the new design, Honda have upgraded it's tech to be more in line with it's rivals, notably the new adjustable suspension and slipper clutch are great additions. The 471cc engine has seen some love as well with new tuning aimed at providing increased torque for a more responsive ride. Similar to Yamaha, Honda have lowered the bars to find that sweet spot - a nice sporty tucked position when you want it but still slightly more elevated and therefore more comfortable than the usual supersport, great for beginners easing their way into the class. Honda's CBR500R comes in at the top of the A2 price range at £6,099, it's a great looking and great riding bike but at almost a grand more expensive than the R3 it faces some stiff competition. I know this is a top 5 list but as a bonus, one more great bike for beginners just arriving in showrooms this year is the Continental GT from Royal Enfield. The new Continental GT looks like a vintage Cafe Racer and comes with a range of beautiful paint jobs, but it also takes a step forward in performance from Enfield's previous offerings, while still being fully A2 compliant. You can find out everything you need to know about the Continental GT in this blog or check out the Bike Matters video below. Remember, the best thing to do when looking for a good beginner motorcycle is to shop around and try some bikes at your local dealers. Be patient, you don't need to be leaping straight onto a Panigale, there's a whole host of awesome bikes out there to get you started! If you're looking at getting on your first bigger bike, we have a fantastic A2 bike scheme that could provide you with your cheapest quote. Give us a call today on 01379 646 504 to have a chat with us about your insurance, or quote direct with us online. Our best deals are direct - not on comparison sites!